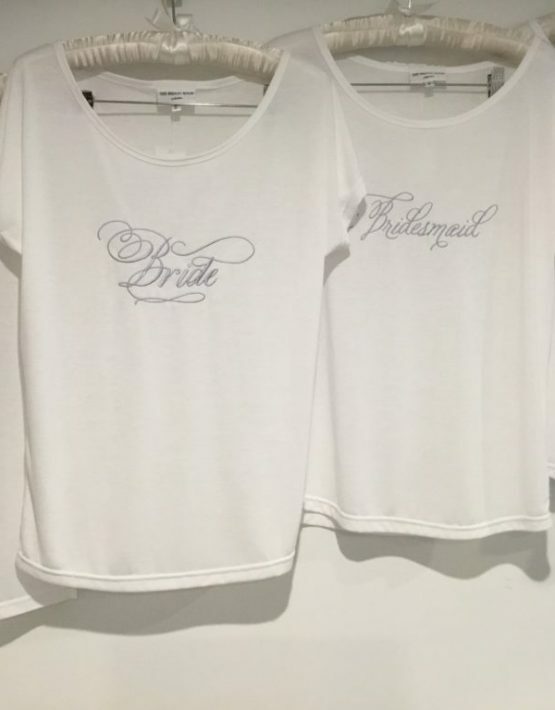 Beautiful embroidered T’Shirts exclusive to The Bridal Room. Great for the whole Bridal Party. T’Shirts feature a wide neck line allowing for easy removal, enabling you to keep your hair and make up in tact. They come in white with a choice of 2 embroidery colours, Blush pink and Silver. 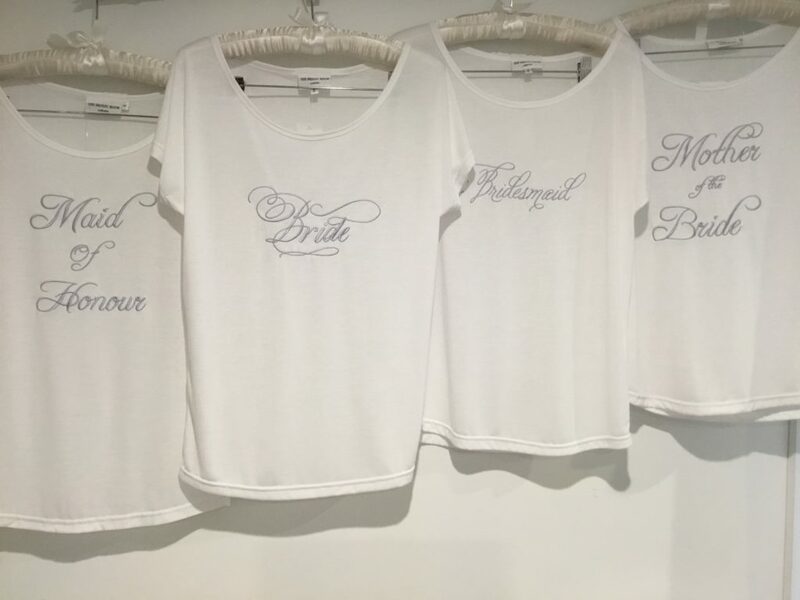 Make the morning of the wedding special for the whole bridal party with these gorgeous T’s. 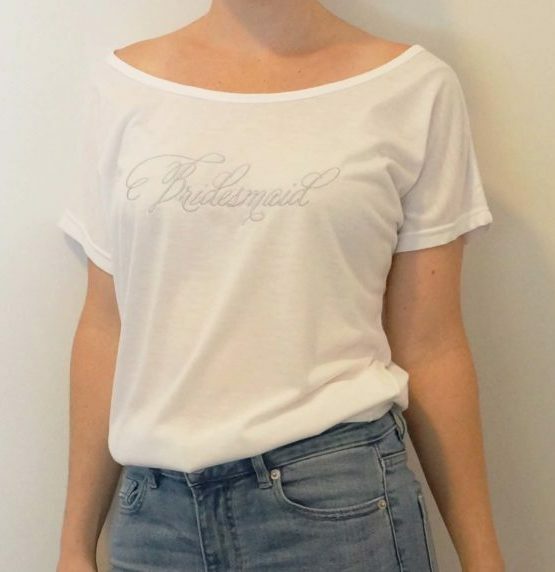 If your size is not in stock please Email: info@thebridalroom.com.au to place your order.